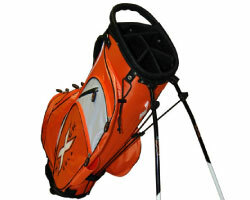 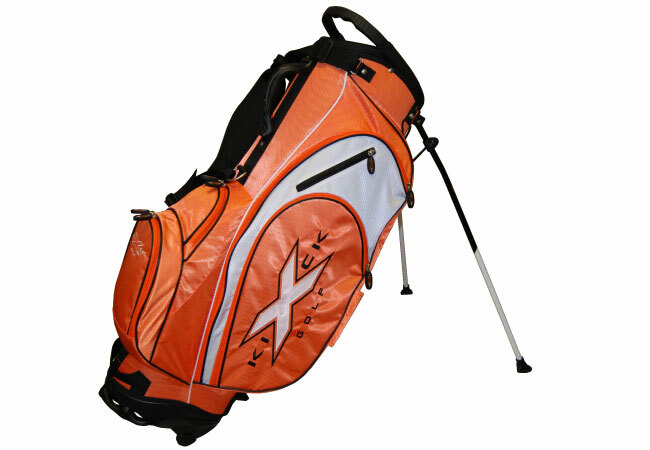 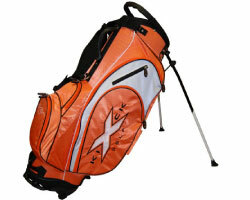 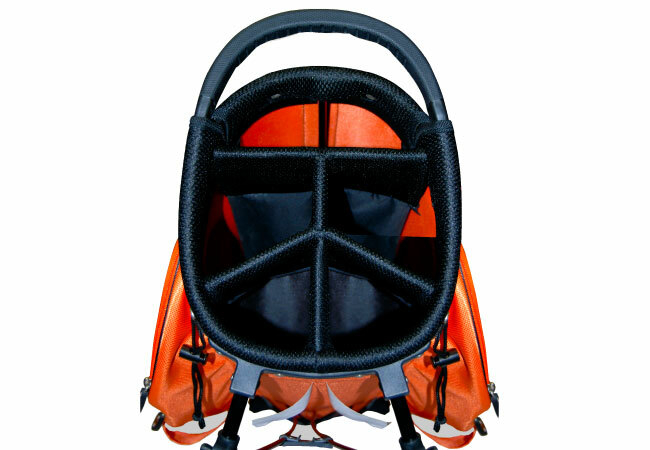 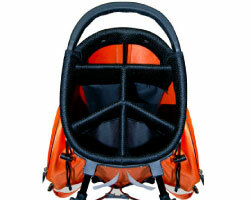 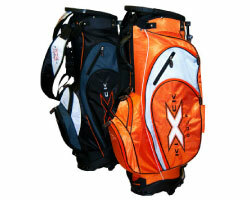 The Kick X X-lite Stand Bag features a unique 6 way divider, separating and protecting your clubs, while two deep velour pockets safeguard your valuables, while you golf. 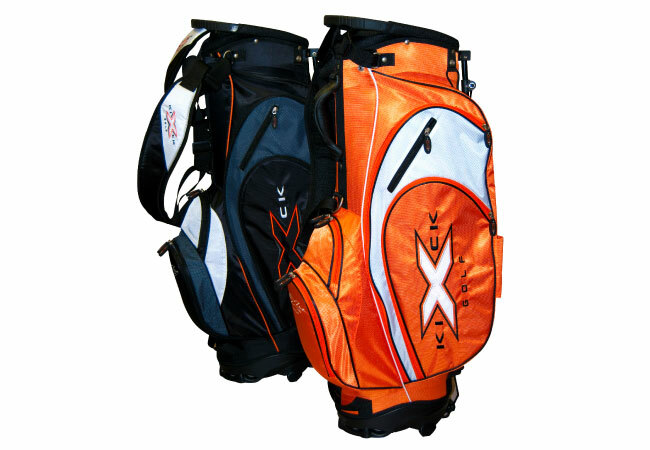 Fully adjustable padded carry straps allow golfers to carry their bags "backpack style" comfortably across the course, while the amazing lightweight waterproof material locks out rain and moisture. 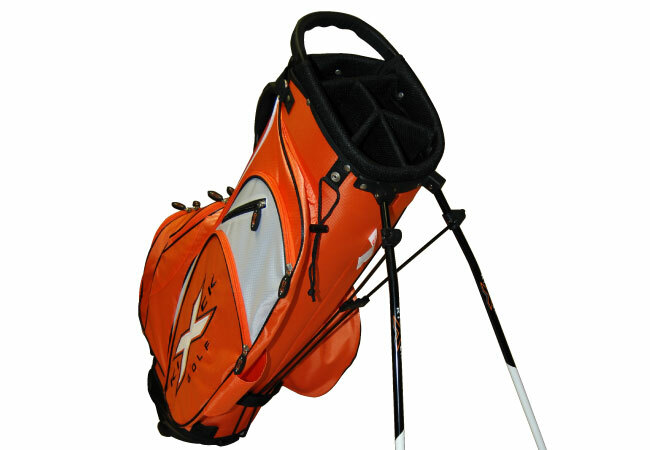 Quick release legs allow for a fast and effortless deployment, while its lightweight ergonomic design maximizes storage and performance out on the course.